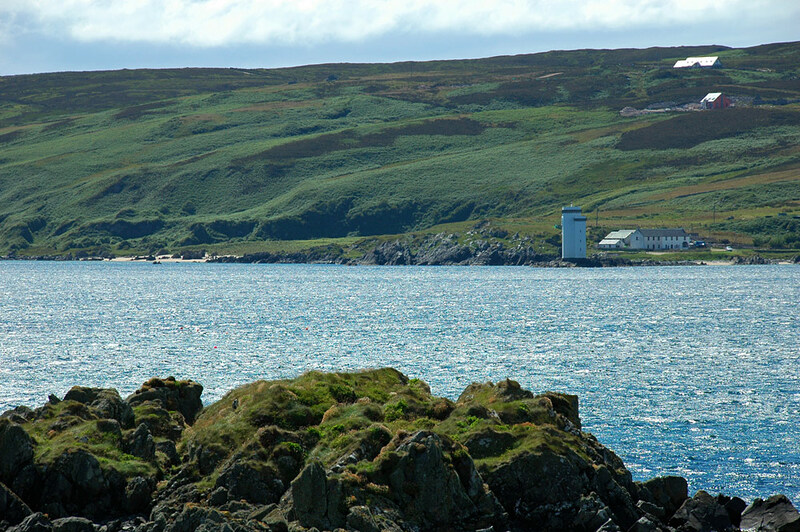 A view across the water from the Ard to the Singing Sands (left) and Carraig Fhada lighthouse (right) on the Oa. This entry was posted in Beaches, Cloudy Weather, Landscape, Lighthouses, Repost, Sunny Weather and tagged Carraig Fhada, Islay, Port Ellen, Singing Sands, The Ard, The Oa by Armin Grewe. Bookmark the permalink. This was taken some time ago as I can see our house has no block work nor stone cladding on it! !